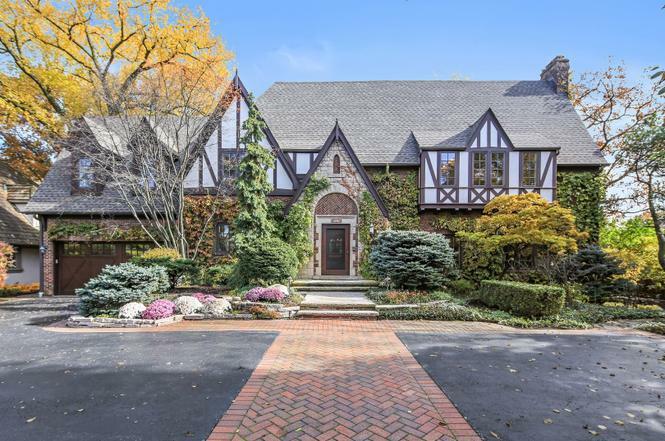 But, what happens when a Tudor home meets a home staging company looking to lure in a buyer, admiring the touch of traditional, but wants modern amenities? You get a home buyer! 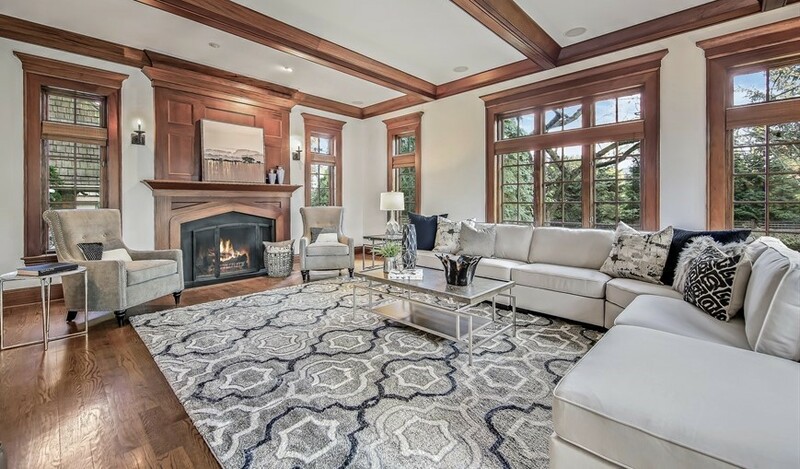 Chicagoland Home Staging recently staged this property that then sold in 10 days for nearly 2-million dollars. Some of the rooms inside this house went through a drastic change. The kitchen inside this property had a mixture of light and dark cabinetry, as well as dark marble countertops and a lack-luster backsplash that needed a modern upgrade. Here is an image of the kitchen prior to staging. As you can see the changes made a significant difference in this room. By painting the cabinetry white, upgrading the countertop and backsplash in a neutral hue the kitchen is now unified, light, bright and spacious. We also replaced the pendant lighting. This eat-in kitchen is now clearly defined — buyers can sit on the island or in the breakfast nook. Adjacent to the kitchen is this family room painted in a bold red hue. This color made the large room feel small, dark and taste specific. Chicagoland Home Staging wanted to highlight the woodwork in this room, so we again decided to use a pure neutral hue on the walls. By changing the wall color you can admire the craftsmanship this property has to offer. Our team brought in a sectional for ample seating to snuggle up around the fireplace. We played up tone and textures to make the room feel more contemporary. 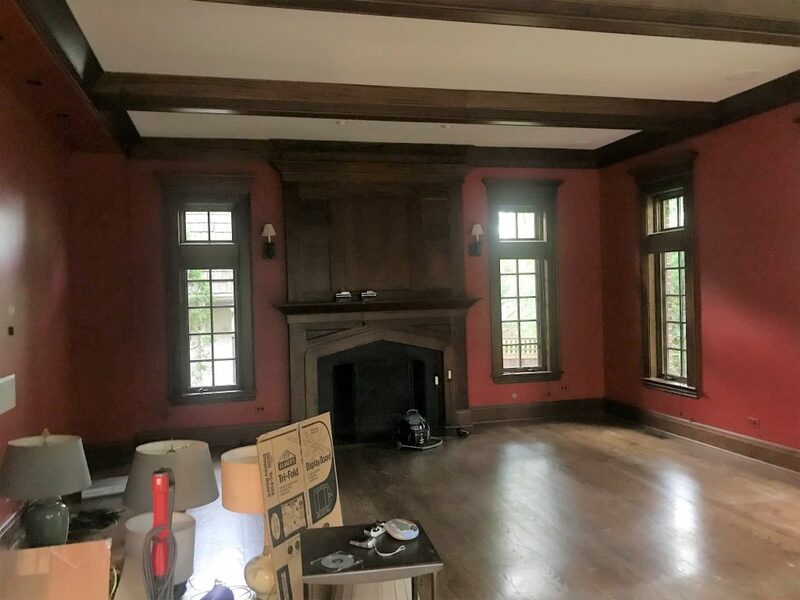 This room had great bones before staging including an amazing fireplace, lots of windows and walnut-finished hardwood. 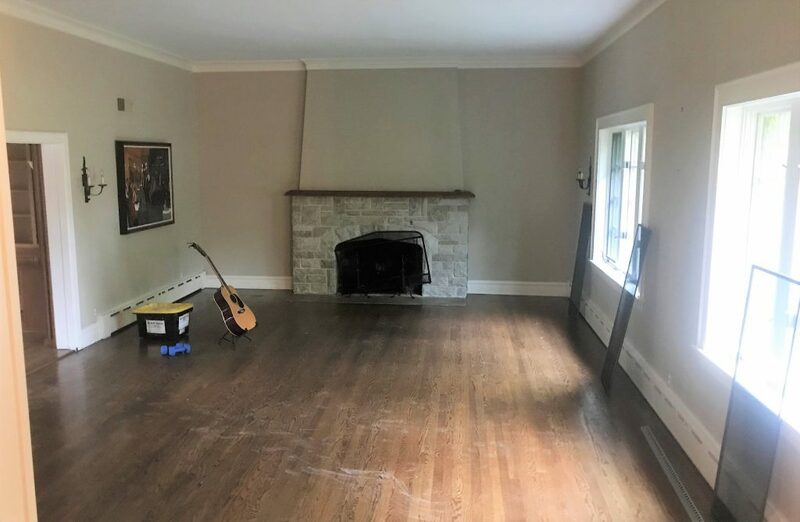 Our team decided to highlight the fireplace, by using modern art and painting the mantle white. The furniture arrangement has a symmetrical set-up to showcase the fireplace and create an intimate conversation area in this formal setting. 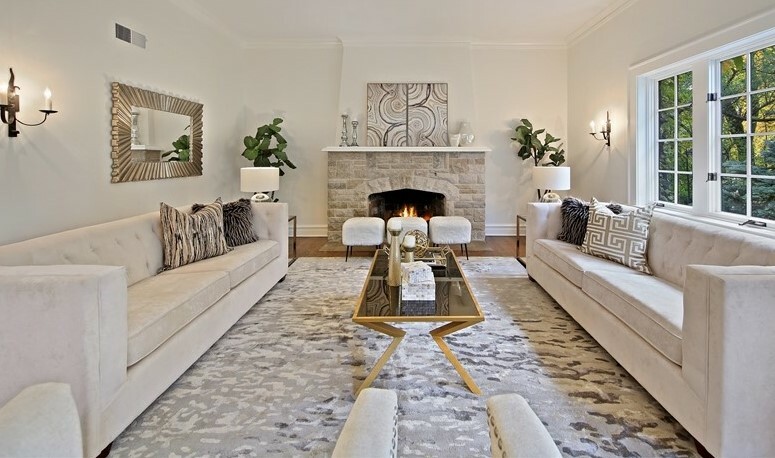 We also used mixed metals of silver and gold to make this room worthy of its price tag. 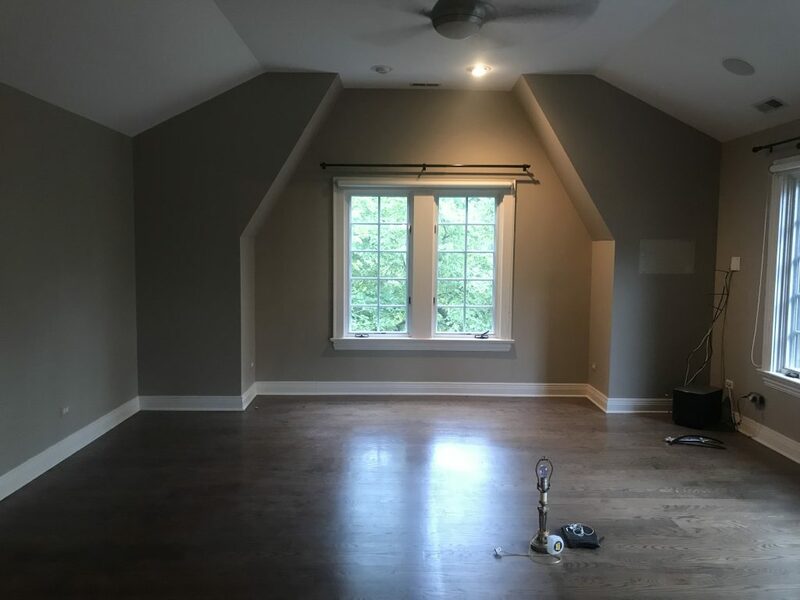 Like many of the other rooms in this property, we painted the master bedroom a lighter color to extend the walls into the ceiling. The current greige hue cut the room short of its true potential. We did, however, use a gray velvet headboard to define the master bed. The mirrored nightstands help reflect light throughout the room. The unique nook also provides a place to lounge in the room to unwind after a hard day’s work. 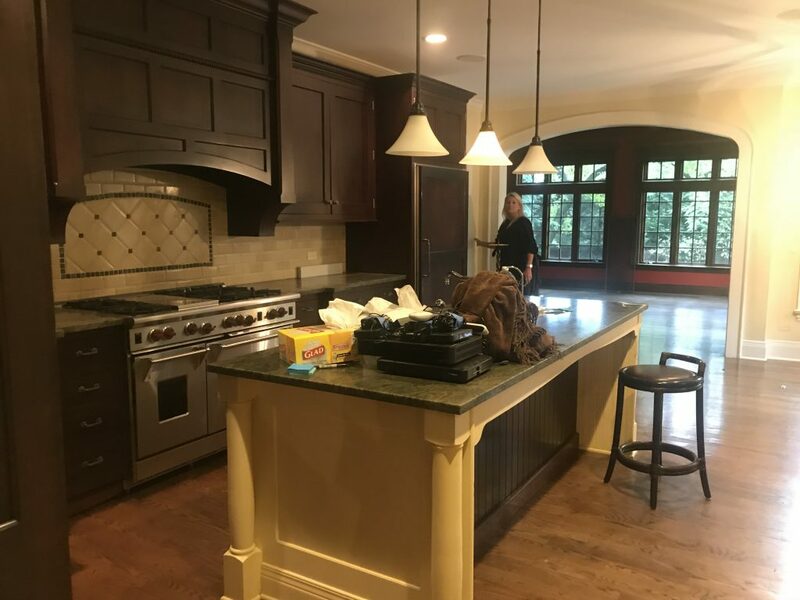 If you’re looking to sell your Hinsdale property feel free to contact us today for a quote and to learn more about our services.